Filo Baked Le Rustique Camembert with Honey’d Pecans, anyone? 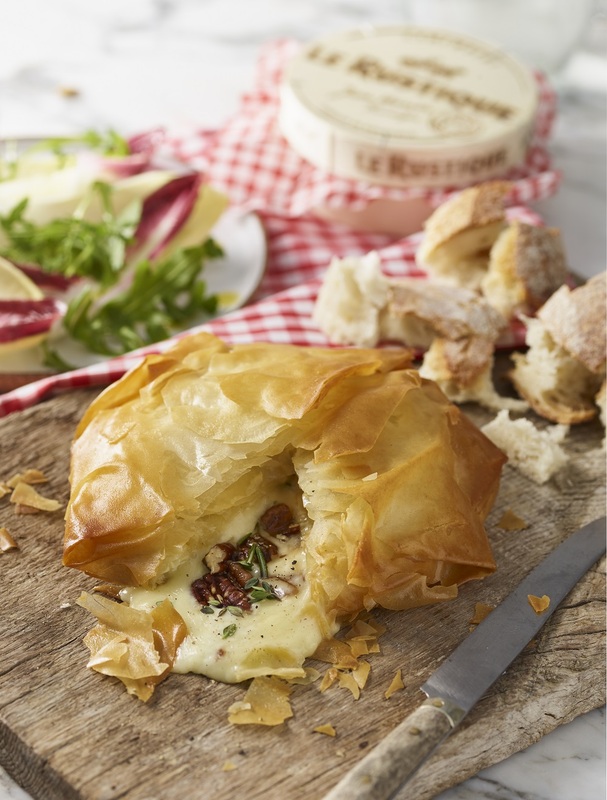 This delectable Filo Baked Le Rustique Camembert is the perfect way to start a dinner party. We would recommend using a ripe Camembert to let the thyme compliment the distinctive flavours of the cheese. Finally, the honey’d pecans add a deliciously sweet surprise! In a bowl mix the nuts and honey, place on a baking tray and bake at 160 degrees for 5 – 10 minutes. When cool break into chunks. Turn the oven up to 180°C/ 160°C fan/Gas Mark 4. Melt the butter. Lay all 4 filo sheets on a baking tray and butter each layer. Slice the top off the Le Rustique Camembert and place in the middle of the filo. Sprinkle over the herbs and a few of the pecans. Wrap the Le Rustique Camembert in the pastry to make a parcel and brush the outside of the pastry. Cook for 20 minutes just before you are ready to enjoy. Place on a plate, garnish with the salad, sprinkle with the pecans and enjoy warm with vegetable or bread croutons. Recipe created by Alex Head at Social Pantry. Recipe and image courtesy of LeRustique. 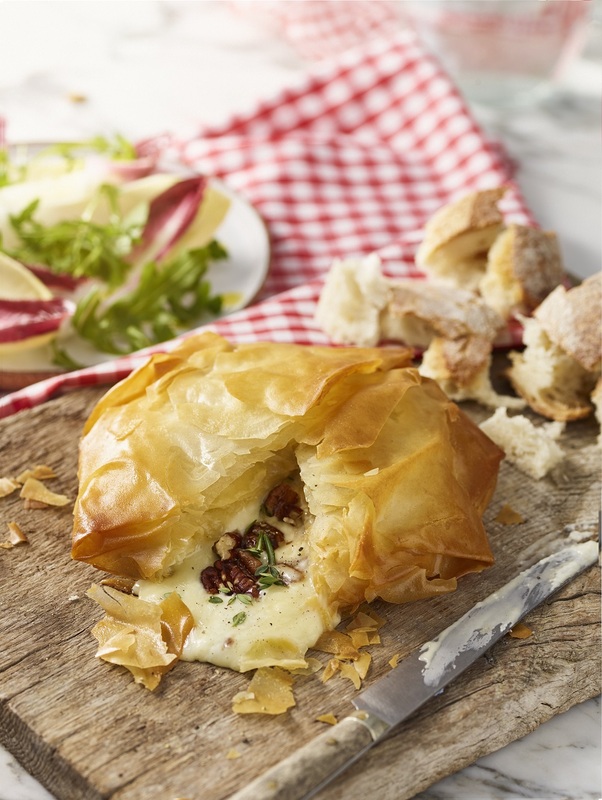 What do you think of this Filo Baked Le Rustique Camembert with Honey’d Pecans recipe? "Fried Le Rustique Camembert Pieces And Nettle Pesto"
"Pink Trousers And Miss Piggy Shoes"
I love camembert! Sounds delicious!